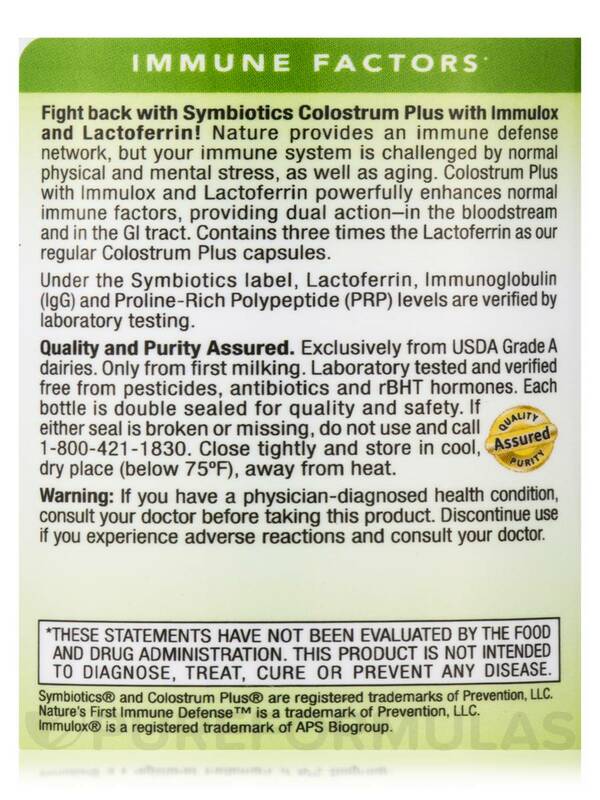 Fight back with Symbiotics Colostrum Plus with Immulox and Lactoferrin! Nature provides an immune defense network‚ but your immune system is challenged by normal physical and mental stress‚ as well as aging. 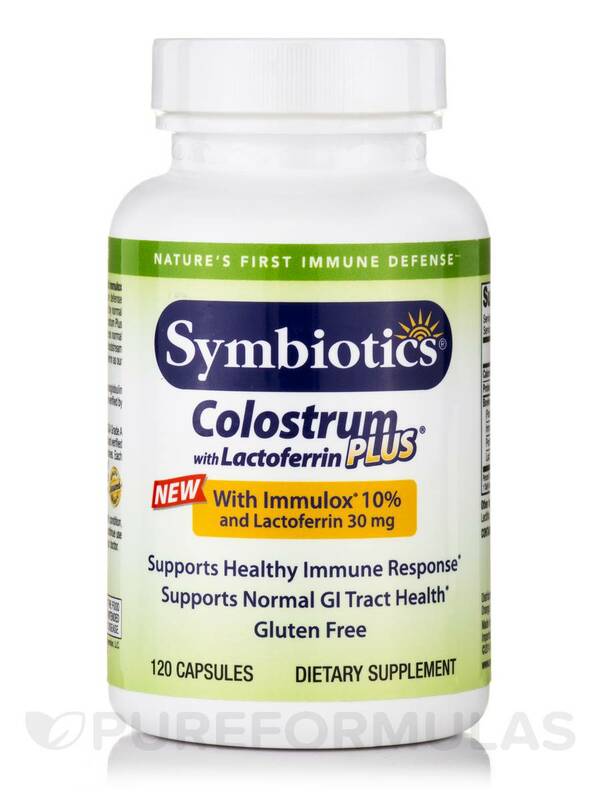 Colostrum Plus with Immulox and Lactoferrin powerfully enhances normal immune factors‚ providing dual action–in the bloodstream and in the GI tract. 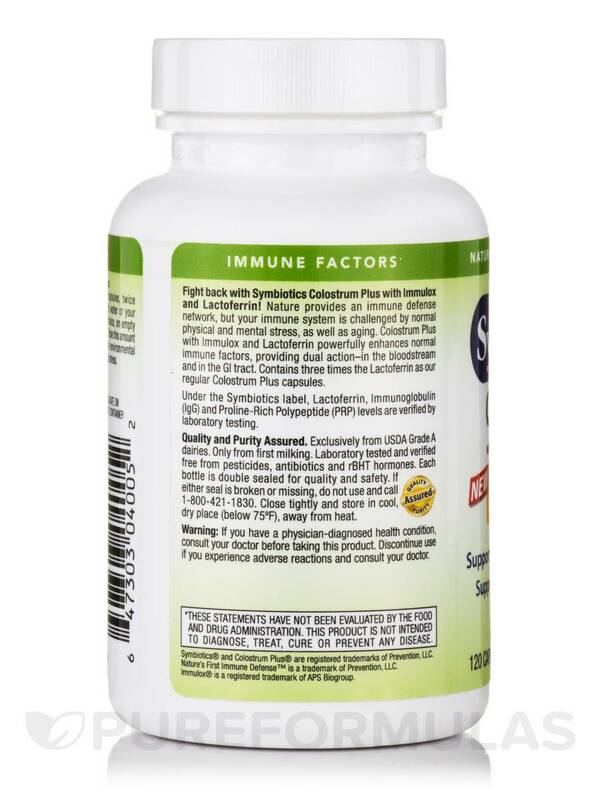 - Supports healthy immune response. 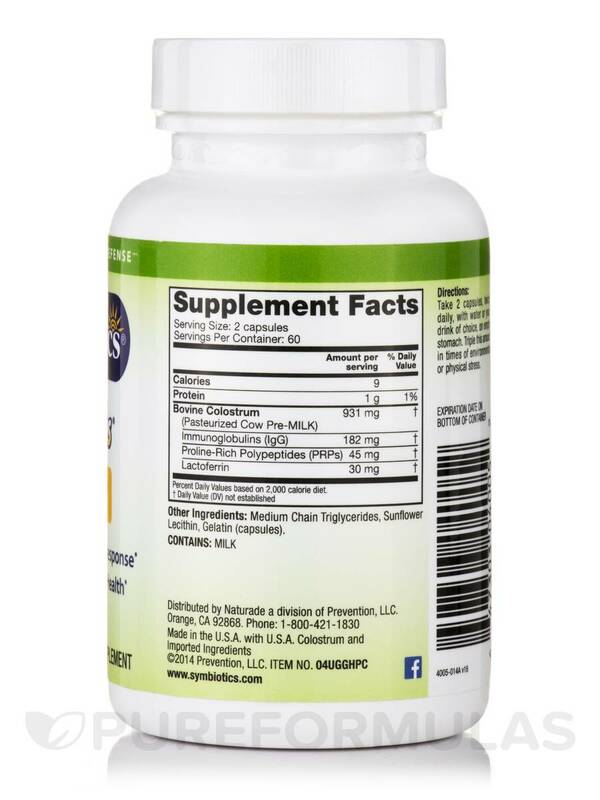 - Supports normal GI tract health. Percent Daily Values based on a 2‚000 calorie diet. 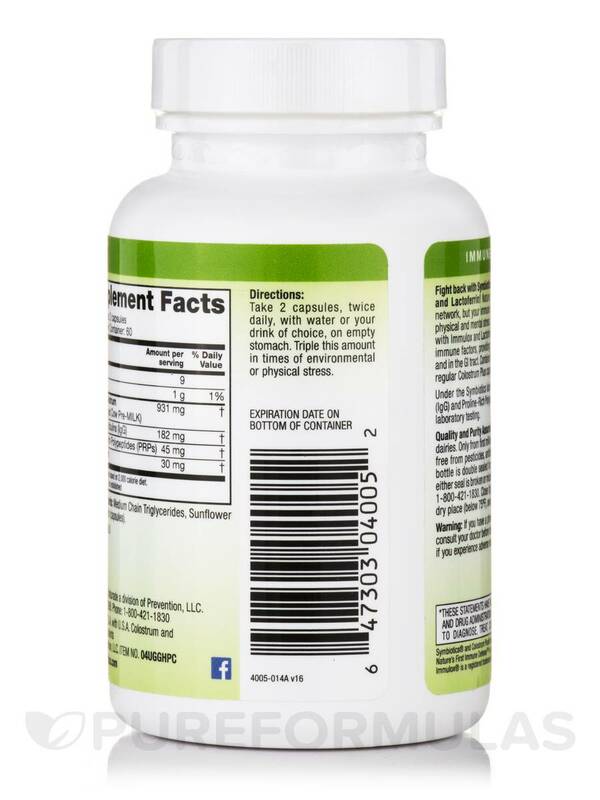 Other Ingredients: Medium chain triglycerides‚ sunflower lecithin‚ gelatin (capsules). Laboratory tested and verified free from pesticides‚ antibiotics and rBHT hormones. Gluten-Free / Made in the USA. 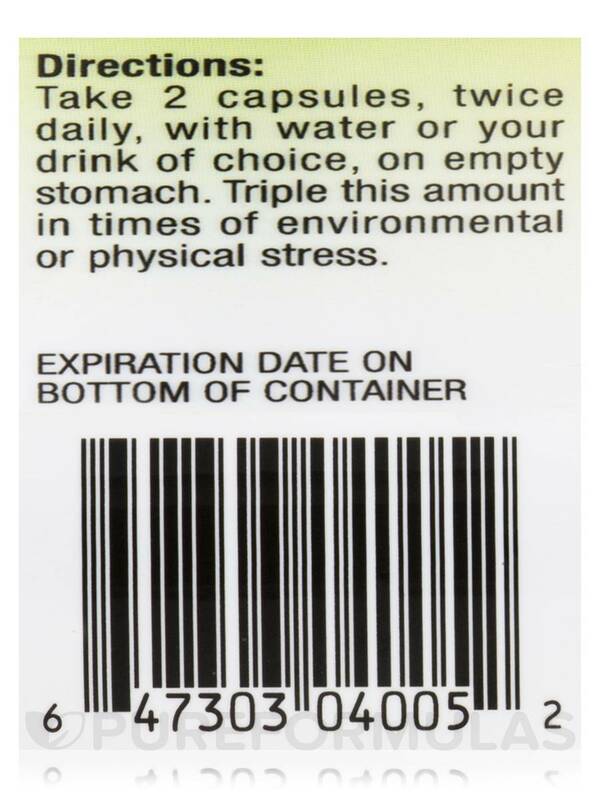 Take 2 capsules‚ twice daily‚ with water or your drink of choice‚ on empty stomach. Triple this amount in times of environmental or physical stress. Each bottle is double sealed for quality and safety. If either seal is broken or missing‚ do not use. Close tightly and store in a cool‚ dry place (below 75° F)‚ away from heat. If you have a physician-diagnosed health condition‚ consult your doctor before taking this product. Discontinue use if you experience adverse reactions and consult your doctor. I started giving my son 1 capsule of Colostrum with Lactoferrin Plus by Symbiotics a day after stool test showing low secretory IgA level. 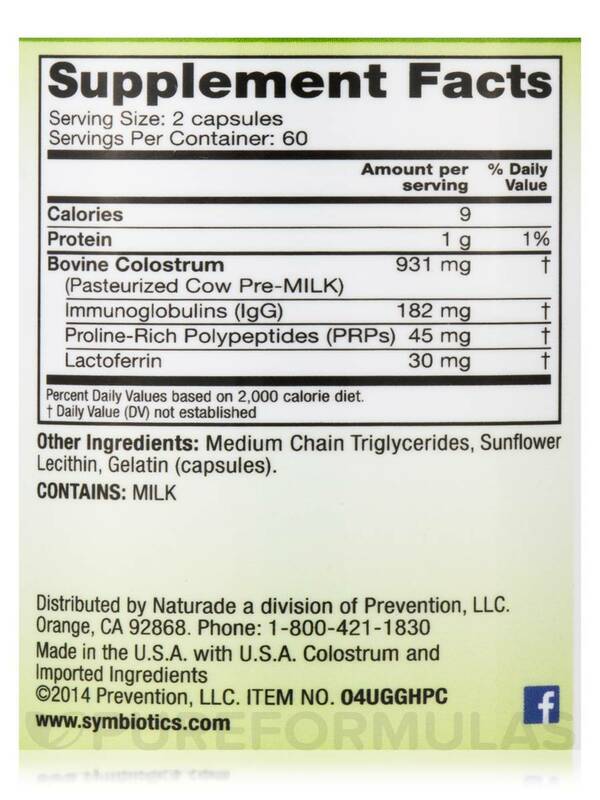 Since giving this colostrum, the level is in reference range and stopped getting sick often. I mix this with applesauce. You need to mix quickly. It works well and does not taste too bad.